The centenary of playwright Samuel Beckett's birth is being marked by major festivals in the UK, Ireland, the US, Germany, France and Japan. 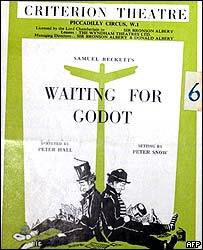 What's the fuss about a man famous for writing a play where "nothing happened... twice"? 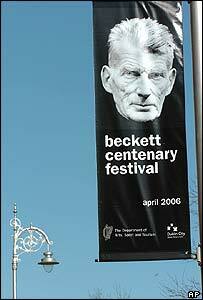 For a man so notoriously uncomfortable about public attention, Samuel Beckett's profile has never been higher, his craggy face appearing on festival billboards around the world. The centenary of the enigmatic playwright's birth has sparked a wave of Beckettmania, involving performances, television and radio shows, lectures, photography exhibitions, book launches and film festivals. It's been claimed as the biggest ever international event for a modern writer. LONDON, April 21 (IranMania) - Friday is Sadi Day in Iran; Sheikh Muslih al-Din (1213?-1292? 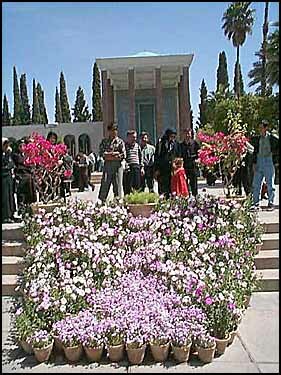 ), one of the greatest figures in classical Persian literature, was born in Shiraz, Fars Province. He lost his father in early childhood; later he was sent to study in Baghdad at the renowned Nezamiyeh College, where he acquired the traditional learning of Islam. The unsettled conditions following the Mongol invasion of Persia led him to wander abroad through Anatolia, Syria, Egypt, and Iraq. He refers in his work to travels in India and Central Asia, but these cannot be confirmed. In Lebanon he was held captive by the Franks and put to work in the trenches of the fortress of Tripoli. When he reappeared in his native Shiraz he was an elderly man. He seems to have spent the rest of his life in Shiraz. Sa?di took his nom de plume from the name of the local Atabeg, or prince, Sad ibn Zangi. His best known works are the Bustan (1257; The Orchard) and the Gulistan (1258; The Rose Garden). The Bustan is entirely in verse (epic meter) and consists of stories aptly illustrating the standard virtues recommended to Muslims (justice, liberality, modesty, contentment) as well as reflections on the behavior of dervishes and their ecstatic practices. The Gulistan is mainly in prose and contains stories and personal anecdotes. The text is interspersed with a variety of short poems, containing aphorisms, advice, and humorous reflections. The morals preached in the Gulistan border on expediency -- e.g., a well-intended lie is admitted to be preferable to a seditious truth. Sadi demonstrates a profound awareness of the absurdity of human existence. The fate of those who depend on the changeable moods of kings is contrasted with the freedom of the dervishes. For Western students the Bustan and Gulistan have a special attraction; but Sadi is also remembered as a great panegyrist and lyricist, the author of a number of masterly general odes portraying human experience, and also of particular odes such as the lament on the fall of Baghdad after the Mongol invasion in 1258. His lyrics are to be found in Ghazaliyat (?Lyrics?) and his odes in Qaasid (?Odes?). Sons and Lovers was the first modern portrayal of a phenomenon that later, thanks to Freud, became easily recognizable as the Oedipus complex. Never was a son more indentured to his mother's love and full of hatred for his father than Paul Morel, D.H. Lawrence's young protagonist. Never, that is, except perhaps Lawrence himself. In his 1913 novel he grappled with the discordant loves that haunted him all his life--for his spiritual childhood sweetheart, here called Miriam, and for his mother, whom he transformed into Mrs. Morel. It is, by Lawrence's own account, a book aimed at depicting this woman's grasp: "as her sons grow up she selects them as lovers--first the eldest, then the second. These sons are urged into life by their reciprocal love of their mother--urged on and on. But when they come to manhood, they can't love, because their mother is the strongest power in their lives." Of course, Mrs. Morel takes neither of her two elder sons (the first of whom dies early, which further intensifies her grip on Paul) as a literal lover, but nonetheless her psychological snare is immense. She loathes Paul's Miriam from the start, understanding that the girl's deep love of her son will oust her: "She's not like an ordinary woman, who can leave me my share in him. She wants to absorb him." Meanwhile, Paul plays his part with equal fervor, incapable of committing himself in either direction: "Why did his mother sit at home and suffer?... And why did he hate Miriam, and feel so cruel towards her, at the thought of his mother. If Miriam caused his mother suffering, then he hated her--and he easily hated her." Soon thereafter he even confesses to his mother: "I really don't love her. I talk to her, but I want to come home to you." The result of all this is that Paul throws Miriam over for a married suffragette, Clara Dawes, who fulfills the sexual component of his ascent to manhood but leaves him, as ever, without a complete relationship to challenge his love for his mother. As Paul voyages from the working-class mining world to the spheres of commerce and art (he has fair success as a painter), he accepts that his own achievements must be equally his mother's. "There was so much to come out of him. Life for her was rich with promise. She was to see herself fulfilled... All his work was hers." The cycles of Paul's relationships with these three women are terrifying at times, and Lawrence does nothing to dim their intensity. Nor does he shirk in his vivid, sensuous descriptions of the landscape that offers up its blossoms and beasts and "shimmeriness" to Paul's sensitive spirit. Sons and Lovers lays fully bare the souls of men and earth. Few books tell such whole, complicated truths about the permutations of love as resolutely without resolution. It's nothing short of searing to be brushed by humanity in this manner. --Melanie Rehak --This text refers to the Paperback edition. This 1932 Pulitzer Prize winning novel is still a standout today. Deceptive in its simplicity, it is a story built around a flawed human being and a teetering socio-economic system, as well as one that is layered with profound themes. The cadence of the author's writing is also of note, as it rhythmically lends itself to the telling of the story, giving it a very distinct voice. 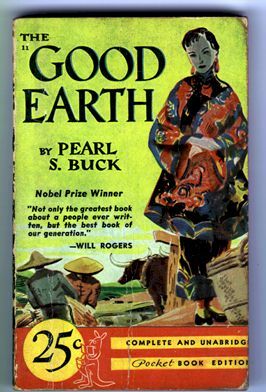 No doubt the author's writing style was influenced by her own immersion in Chinese culture, as she grew up and lived in China, the daughter of missionaries. This is the story of the cyclical nature of life, of the passions and desires that motivate a human being, of good and evil, and of the desire to survive and thrive against great odds. It begins with the story of an illiterate, poor, peasant farmer, Wang Lung, who ventures from the rural countryside and goes to town to the great house of Hwang to obtain a bride from those among the rank of slave. There, he is given the slave O-lan as his bride. Selfless, hardworking, and a bearer of sons, the plain-faced O-lan supports Wang Lung's veneration of the land and his desire to acquire more land. She stays with him through thick and thin, through famine and very lean times, working alongside him on the land, making great sacrifices, and raising his children. As a family, they weather the tumultuousness of pre-revolutionary China in the 1920s, only to find themselves the recipient of riches beyond their dreams. At the first opportunity, they buy land from the great house of Hwang, whose expenses appear to be exceeding their income. With the passing of time, Wang Lung buys more and more land from the house of Hwang, until he owns it all, as his veneration of the land is always paramount. With O-lan at this side, his family continues to prosper. His life becomes more complicated, however, the richer he gets. Wang Lung then commits a life-changing act that pierces O-lan's heart in the most profoundly heartbreaking way. As the years pass, his sons become educated and literate, and the family continues to prosper. With the great house of Hwang on the skids, an opportunity to buy their house, the very same house from where he had fetched O-lan many years ago, becomes available. Pressed upon to buy that house by his sons, who do not share Wang Lung's veneration for the land and rural life, he buys the house. The country mice now have become city mice. This is a potent story, brimming with irony, yet simply told against a framework of mounting social change. It is a story that stands as a parable in many ways and is one that certainly should be read. It illustrates the timeless dichotomy between the young and the old, the old and the new, and the rich and the poor. It is no wonder that this beautifully written book won a Pulitzer Prize and is considered a classic masterpiece. Bravo!